Matthew's piece was done last Saturday, but this week has been so busy and hectic as well as confusing, that I never picked it up until this morning. Matthew comes home on the 24th., and this will be waiting here for him. The pattern is easy and it's done on size 10 circular needles. Bill finally started the radiation treatments an is at the third one today. He is already getting tired and I have to urge him to relax more. Please keep him in prayer. Thirty seven more treatments to go. A few flowers still blooming in the yard. I'm still enjoying finding little things for the giveaway box and it won't be long before a name is drawn. Still time to join in the fun. Check for details on my August 14th. postt. I think I just may catch a quick nap while things are quiet here on the home front. Until next time. .......Stay well and stay safe. Remember to, "feel the colors". Love to you my dear friends and followers. A lovely finish, what a lovely gift for Matthew. Bill will be in my thoughts. God bless you both - Am praying for Bill, and for you, for strength. Hi, I love your pink baby afghan. I love the saying on the gift for Matthew. I am praying for Bill and you. Even though he is the one getting treatments, it is also hard on you. If it was me I would have to keep terribly busy thinking about other things. I know when my hubby hurts I hurt. Take care. Many Hugs and Prayers from Your Missouri Friend. I just love this design - your finish is wonderful. I am keeping Bill (and you too) in my thoughts and prayers. The blanket is so pretty and I love your finish! Will say a prayer for Bill and for you too - for strength to help him through this time. Matt will love his gift! Prayer for both of you!! Beautiful. 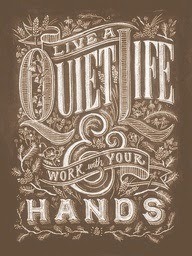 :)I love the words of the first work...:) Who is the designer? Love the sweet little baby blanket...looking forward to seeing it's progress.